Today marks the start of something new for me and my website…written tutorials! I love coming up with new and creative ways to use products and ways to make unique cards. I have made a few videos, but my day job gets in the way of having time to continue making them (I know it’s a bummer). Starting this month I’m offering something new – written tutorials that will be free to anyone who makes a $50 purchase from me. Each month I will have four tutorials available, and anyone who makes a minimum $50 purchase will receive all four for free! Tutorials will have detailed written instructions along with photos and will be delivered to you through email. 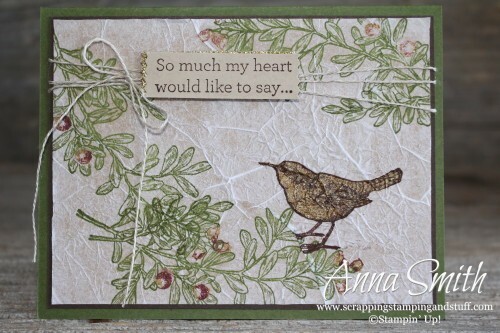 The card shown below is the first of the four tutorials available for the month of April. I plan to reveal the other three projects over the course of this month. 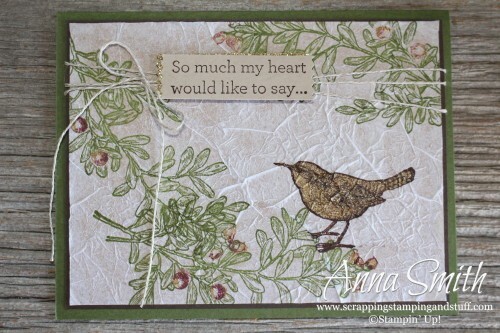 I made this card with the An Open Heart stamp set. I think this set is so neat, and it’s been looking at me from my bookshelf saying, “Come on Anna, you know you want to get me out and use me.” I finally got around to it! 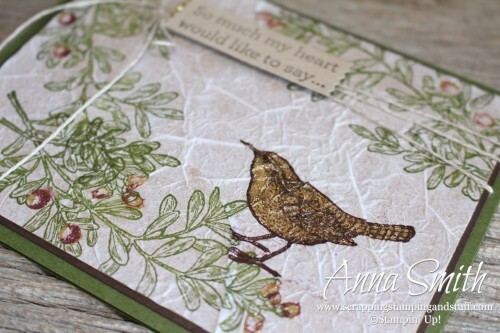 This set lends itself to making rustic cards. You know me, I love anything and everything rustic. My house pretty much screams rustic. The dust does too sometimes! What do you think about the wrinkled effect? I thought it turned out pretty neat. 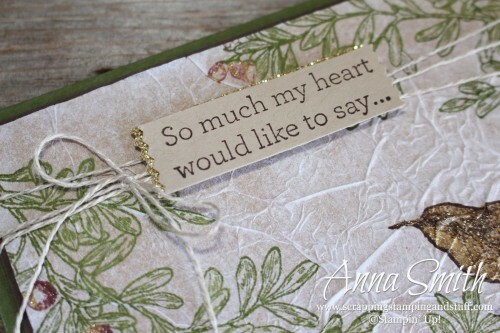 I love the greetings that come in the An Open Heart set. 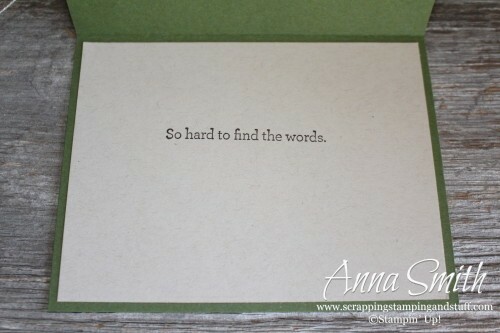 They’re perfect for many occasions when it’s hard to find an appropriate message. Remember, get this project tutorial and 3 more from me by making a $50 purchase from my website this month!